As is to be expected, both clerics claim that the initiative for the concordat came from Poland's Communist government. The author of the second excerpt, a priest and canonist, professes to find the democratic parliament's five-year delay in ratifiying it "incomprehensible". This account depicts the impetus as emanating from Poland at every stage, with no mention of the Vatican diplomats, Casaroli and Silvestrini, whose skill and patience in Poland and elsewhere earned them cardinal's hats. He also doesn't mention the secret 1991 draft concordat which was quietly scrapped in favour of a more advantageous one (for the Church) which was signed two years later. ► Were Communists not eager to conclude a concordat with the Holy See? The communist government was aware of the significance of a concordat with the Holy See. On May 6, 1957 Władysław Gomułka and Józef Cyrankiewicz initiated a meeting with Cardinal Stefan Wyszyński, during which they suggested to the Cardinal, who was heading to Rome after leaving the prison, the possibility of concluding a concordat with the Holy See. On February 4, 1974 a joint statement was agreed between the then Minister of Foreign Affairs of the People's Republic of Poland and archbishop Agostino Casaroli, Secretary of Church Council of Public Affairs. The statement announced the establishment of permanent working contacts. On July 6, 1974 a Protocol was signed between the Holy See and the Government of People's Republic of Poland, which was never published. [Actually, the first edition of it was it published in 1981 when the country was in a state of revolt due to the Solidarity movement.] On the basis of that Protocol a permanent representative of People's Republic of Poland was to reside in Rome at the Vatican, whereas the representative of the Holy See came to Poland only for negotiations. ► We recall that in April 1987 Archbishop Achille Silvestrini visited Poland and took part in sessions of General Council of the Episcopate. Was that held in Poznań? On June 14, 1987, during his apostolic visit to Poland, the Holy Father John Paul II referred in the speech made in the seat of Secretariat of Episcopate in Warsaw to this issue. Even before the Pope's visit to Poland, in May 1987, a meeting took place in Vatican of the aforementioned Commission between representatives of the Holy See and the Episcopate of Poland. Views were exchanged and an attempt was made to draw up a work plan. On June 30, 1987 representatives of the Government of the People's Republic of Poland and the Episcopate met unofficially to discuss the issue of regulating the relations between Church and State at the national level, which was to be expressed in the act of the Sejm, and on the international level — here an agreement of an international character was to be taken into account. On May 20, 1988 a draft of such an agreement was presented to a delegation of the Holy See in Warsaw. [During the Communist era] there was increasingly frequent talk about the need to normalise the poorly regulated relations between the State and the Church. From 1970 attempts were made to propose even a radical solution of this extremely tense situation. [Exacerbated by Pius XII — see footnote 1.] All the more so because on 25 January 1971, Prime Minister of the new governing team Piotr Jaroszewicz revealed the wish of the Government of Poland to achieve full normalisation of relations with the Catholic Church. This intention began to materialise when in [the Protocol of] 1974 permanent working relations between the Holy See and the Government of the Polish People's Republic were established. 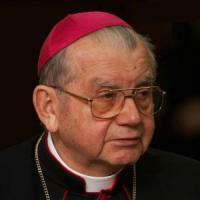 The bilateral talks on the normalisation of Church-state relations were highly evaluated by Edward Gierek during a meeting with Pope Paul VI on 17 December 1977. A good signal for the successful development of relations with the Church seemed to be the appointment on 16 October 1978, of Cardinal Karol Wojtyla as the Bishop of Rome, followed by his first visit to Poland in June 1979 as Pope John Paul II. However, the working relations between the Holy See and Polish Government intensified only after the signing of the "Gdańsk agreement" (in August 1980). The Joint Commission (Komisja Wspólna, composed of representatives of Government and the Episcopate) was reactivated then, and in January 1984 it prepared a draft law on Church-state relations [the Rakowski Act], in which an attempt was made to regulate the mutual relations of these communities. A significant role was played here by the Pope's second visit to Poland in June 1983. An even better climate for the work of the [Joint] Commission came about at the end of 1986, when the Government side suggested the establishment of full diplomatic relations with the Holy See. There was increasing talk of the need to regulate the most important problems in the relationship between the state and the Church through an international agreement. This idea was further promoted by General Wojciech Jaruzelski's visit to the Vatican on 13 January 1987, during which he put forward the case for diplomatic relations. In the same year the Joint Committee (Komisja Mieszana przedstawicieli Stolicy Apostolskiej ds. Publicznych Kościoła i Episkopatu Polski) was appointed (made up of representatives of the Episcopate of Poland and the Holy See) . The third pilgrimage by the Pope to his home country — in June 1987 — gave him an opportunity to take up the matter of the Holy See's diplomatic relations with Poland. The Holy Father said then that "in recent years, Poland's authorities have proposed to establish formal relations with the Holy See". In the second half of 1987 the Joint Committee worked intensively on defining the issues that should be the subject of a Convention between the Holy See and Poland and also of an internal law. It had already been decided to settle Church-state relations on two levels: international (convention) and internal (statute). On 20 June 1988 a draft convention was forwarded to the Holy See and on 17 May 1989 the Sejm [lower house of parliament] of Poland passed a statute [the Rakowski Act] on the relationship between the State and Catholic Church in the PRL [Polish People's Republic], together with two other laws: on guaranteed freedom of conscience and religion, and on the social security for the clergy [known collectively as the "May laws"]. When the political situation changed after 4 June 1989 [the date of the first semi-free elections], the climate for the resumption of Polish diplomatic relations with the Holy See was an even more favourable, and this was accomplished on 17 July of the same year. This climate enabled the experts of the Holy See to transform the draft convention to the draft of a more solemn and somewhat wider agreement with Poland (the Concordat). Following the submission of a similar project by the Government of the Republic of Poland on 12 March 1993, negotiations began towards a definitive text. As a result of this work, on 2 May of the same year the text of the Concordat was agreed and accepted by both parties. It was then formally concluded by the Holy See and Poland on 28 July 1993. Fr. prof. Wojciech Góralski is a Roman Catholic priest and Dean of the Faculty of Canon Law at the University of Cardinal Stefan Wyszynski. 1. "On March 1, 1949, pope Pius XII sent a letter to the German Episcopate announcing that the transfer of German territory in the East to Poland was still an open issue. This again worsened the relations between state and church. The decree of the Holy Office of July 13, 1949, that anathemised Roman Catholics who collaborated with the Communist authorities did not help the situation." Pawel Zalecki, "The Roman Catholic Church", Europe Since 1945: An Encyclopedia, ed. Bernard A. Cook, 2001, Google reprint. 2. This was not the Joint Commission (Komisja Wspólna), set up to compensate the Church for nationalised property in 1949 and still involved in government. By contrast, this "Commission of representatives of the Holy See for Public Affairs and Polish Episcopate" (Komisja Mieszana przedstawicieli Stolicy Apostolskiej ds. Publicznych Kościoła i Episkopatu Polski) was to arrange for diplomatic relations between the Vatican and the People's Republic of Poland. It was established in April 1987 in Poznań during a session of the General Council of the episcopate, hosting Achille Silvestrini and existed only for 2 years until the full recognition of the Holy See on 17 July1989 (a month after the Solidarity election victory).